Of the 150 acres on Valensbrae Farm 55 are dedicated to the Fletcher Creek Watershed Wetlands. One of the first local landowners to become a watershed steward, Valensbrae Farm owner, Ted Stark’s responsibility is to leave the area untouched and pristine. He first learned of the program in the early ‘90s when two students working for the Hamilton Bay Area Restoration Committee were auditing all of the watersheds into Hamilton Harbour. Fletcher Creek which runs through the most northern edge of his property and drains into Spencer Creek in Dundas was part of the audit. During his 30 year tenure of being a watershed steward, Ted’s noticed some changes. There was a beaver for a number of years, and but now the damn has been abandoned and the beaver family long since disappeared. A long time bird watcher, Ted notes that outside of the finches there hasn’t been a wide array of different birds in this part of the watershed. He’s quick to add that there is a vibrant descent of woodpeckers in the area, particularly noisy in the spring. A family of coyotes have long had a den in the foundation of the original farmhouse that is now part of the wetlands. Ted says that the coyotes have been known to venture down to his farm, but are scared away by the large, bright spotlights that are set-off by motion detectors. 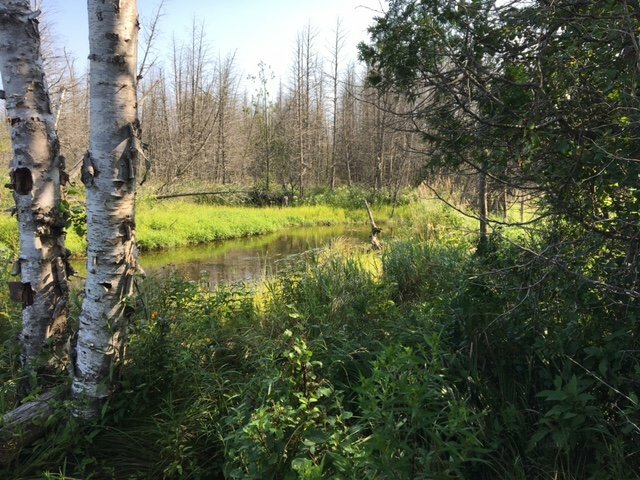 There’s a wide variety of flora and fauna from high-bush cranberry, goldenrod, columbine, cedar trees, poplars and plenty of grasses, sedges and aspens that make the wetlands unique and full of life. For Ted, becoming a watershed steward and helping to protect the environment was a natural step. As a young boy growing up in Toronto, he used to wander the local parks and conservation areas armed with his bird books – accompanied by his dog. Today, Ted and his dog Lacey enjoy long walks down to the Fletcher Creek Wetland. 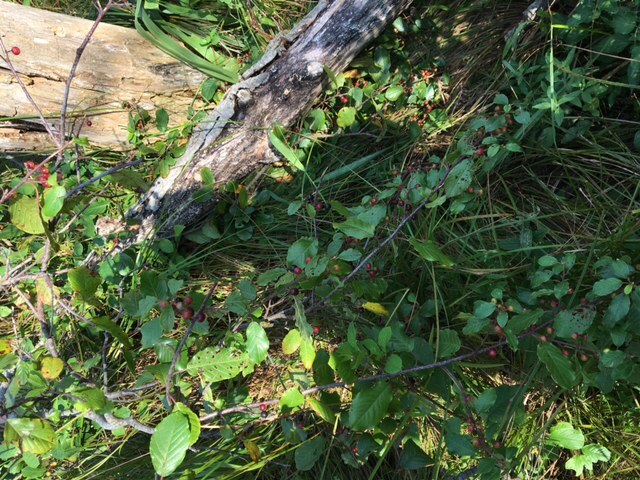 He sees maintaining that section of his property as a wetland, a small part of protecting the environment in Puslinch Township. In the late 70’s two long-time members of the Hamilton Naturalists’ Club, decided that the area around Fletcher’s Creek (at the headwaters of Spencer Creek Watershed) should be put into public ownership for future generations. 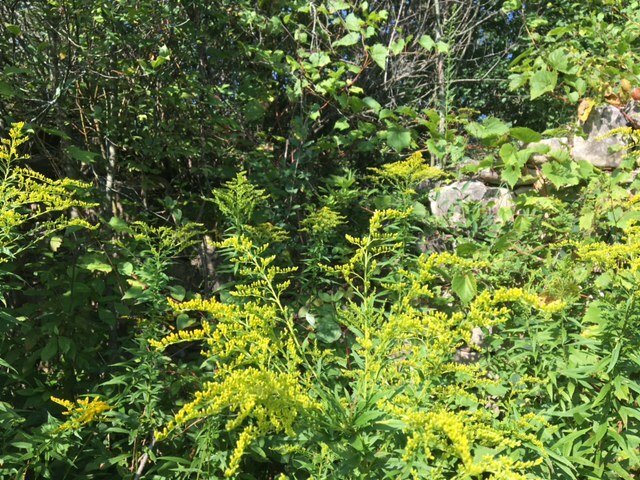 Working in partnership with the Hamilton Conservation Area, the club purchased the first 30 acre parcel on the north side of the railroad tracks, now part of the reserve. When the Club purchased the adjoining 30 acres, it lead to the establishment of the Puslinch Wetlands Conservation Area. 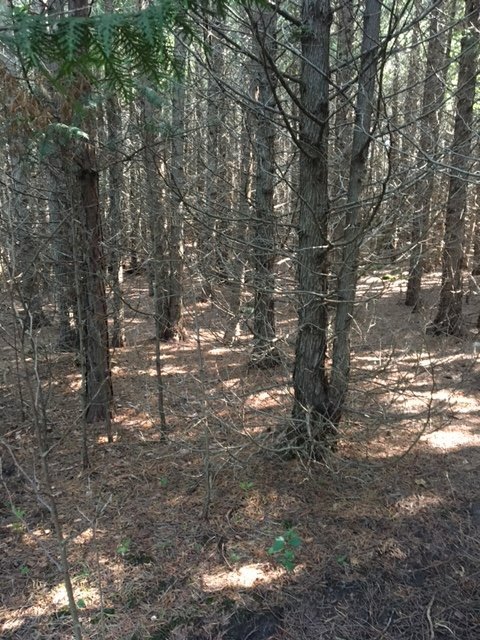 Today Fletcher Creek Ecological Preserve located on Concession Road 7 on the east side of Puslinch is 414 acres. 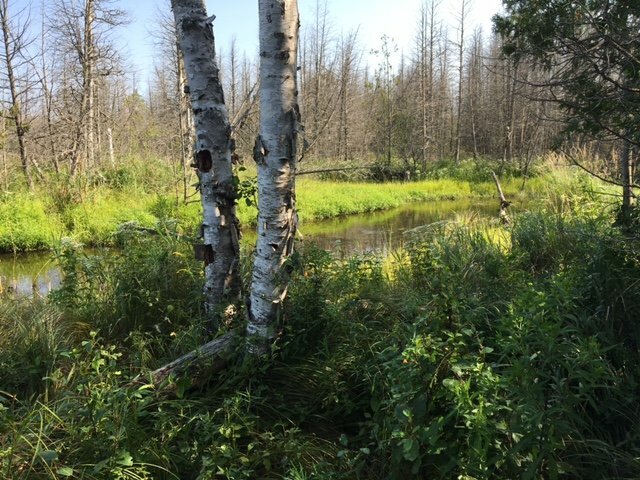 When the abandoned quarry at the site was rehabilitated, it resulted in the creation of one of the rarest forms of wetlands in Ontario. 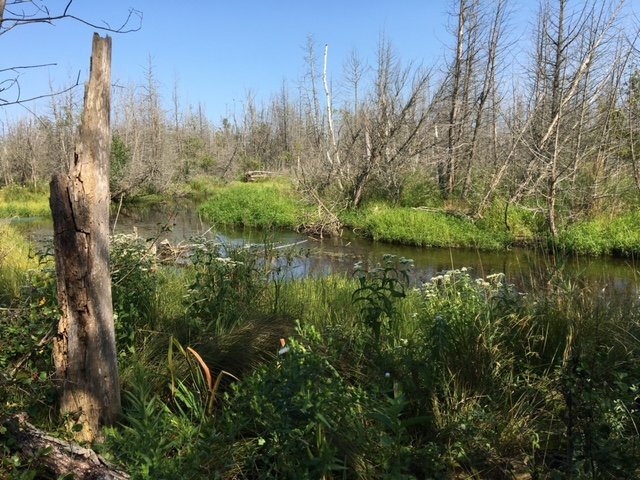 The Hamilton Conservation Authority owns and manages over 3,000 hectares of natural conversation areas – such as Fletcher Creek Ecological Preserve. Known as passive areas, they were acquired and protected due to their sensitive nature and the major role they play in the ecology and health of the HCA’s watershed. « Previous Article Will you be joining us at the Fair?